There is still time to capture some savings on your ATS 2019 International Conference fees. If you register by May 16, you’ll save $125* compared to the cost of a full member registration on site. 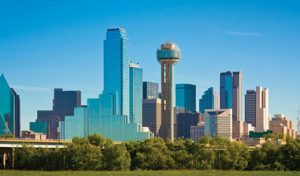 This year’s conference takes place May 17-22 in Dallas and is a can’t-miss event for respiratory medicine practitioners, scientists, clinical researchers, and related health care professionals. Planning ahead for the conference not only saves you money, it provides the best opportunity for reserving your spot at an official ATS hotel and pre-registering for all the educational events you want to attend. Online registration is recommended, but registration forms are available at conference.thoracic.org. Registration by phone or fax requires a credit card. *$125 savings reflects the difference between Full Member Advance Registration and Full Member Onsite Registration before any additional purchases and/or fees. 2. Call Convention Data Services at 866-635-3582 from 9 a.m. to 5 p.m. Eastern time, Monday through Friday. Callers outside the U.S. and Canada need to call 508-743-8518. 4. Fax form to 508-743-9673.